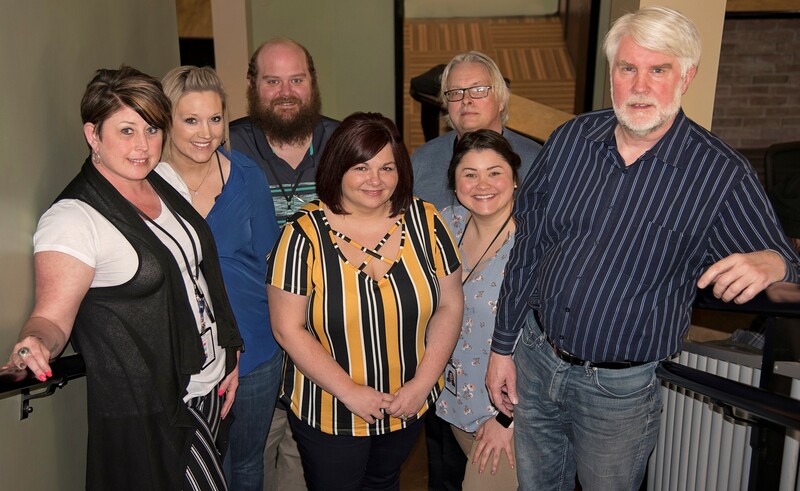 Since opening its doors in 2014, Cedar Ridge Behavioral Health Solutions (CRBHS) has provided mental health and addiction treatment services to children, adolescents and adults throughout Southeastern Ohio. Until now, treatment services provided to children and adolescents was limited to basic outpatient therapy, case management and psychiatric services. Additionally, Cedar Ridge has placed providers within school systems who have verbalized a willingness to support treatment and dedicate a space for service delivery. That being said, the child & adolescent population served by Cedar Ridge has grown significantly over the past several years, and although services were being provided by the organization, CRBHS deemed it necessary to employ an evidence-supported treatment model that could be utilized by clinicians in their work with this population. The clinical leadership of the organization set out to identify a model that considered the impact of families and other systems in the youth’s life and include them in treatment to further enhance clinical outcomes. Out of this search, Cedar Ridge was introduced to the I-FAST model. Integrative Family and Systems Treatment (I-FAST) is an evidence-supported, moderated treatment approach that can be used with children, adolescents, and adults who exhibit a wide range of mental health and/or behavioral symptoms and diagnoses. The I-FAST model can be applied to outpatient treatment, case management, and intensive in-home services (Fraser, S., Grove, D., Lee, M.Y., Greene, G., Solovey, A. 2013 * Fraser, S., Solovey, A., Grove, D., Lee, M.Y., Greene, G., 2011). I-Fast treatment protocols utilize interventions that are individualized and tailored to best serve the family in a manner that addresses the concerns for which they are seeking treatment. The treatment episode ends when identified goals are met and can be resumed if problems reoccur. I-FAST is organized around common factors already present in many evidence-based families treatment models and - as an integrative model - allows for the incorporation of treatment procedures from other treatment modalities into the overall I-FAST framework. This allows for maximum flexibility, as well as, a treatment option that can match and adapt to a variety of client issues and beliefs. The efficacy of I-FAST has been researched in three studies involving eight separate clinical sites in both rural and urban areas (Lee, M. Y., et al., 2009 * Lee, et al., 2011 * Lee, M. Y., et al., 2015). Currently, data is being gathered from three additional sites representing a fourth and a fifth major study. A current study using I-FAST with adults is being conducted in Hong Kong, China. This study will establish cross cultural efficacy of I-FAST for addressing adult mental health problems. CRBHS is currently working with David Grove, one of the developers of the I-FAST model, who has provided training to the agency’s clinical staff, has assisted in identifying the agency’s I-FAST team, and continues to provide bi-weekly on-site consultation with those team members inclusive of live supervision via closed-circuit video observation and real-time feedback. This partnership will continue until two of CRBHS’s I-FAST team members have achieved supervisory status and can take over the supervision / consultation process in-house. If you or your family is interested in this type of treatment, please contact Cedar Ridge Behavioral Health Solutions at 855-692-7247.